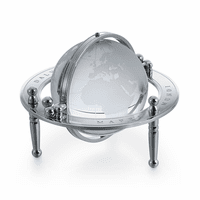 The Weather Watch Globe, by Replogles Globes, will be the star of many conversations when you display it on your desk at home or office. 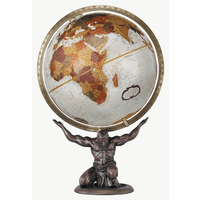 The 9' diameter globe has an antique background with rich shades of color that highlight each country. 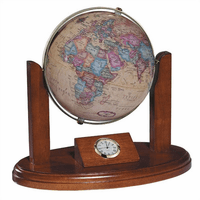 The globe spins on an axis rod, attached to a whimsical gear design, and fixed to a walnut-finished wood cube on an offset square base. 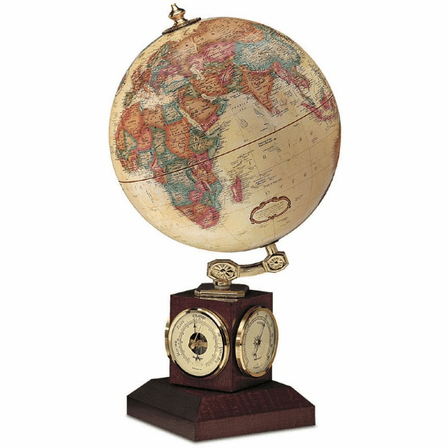 On the cube are 3 precision weather instruments...a barometer, a thermometer, and a hygrometer, providing useful information and hours of enjoyment!